Thinking About Getting Some Shrimp? And hey, it looks like someone grew out of their shell and molted today in the Crystal Red tank. I may see some breeding there again soon. I really want to have more Crystal Red baby shrimp. If you want to hear about more deals like this sign up for my newsletter. 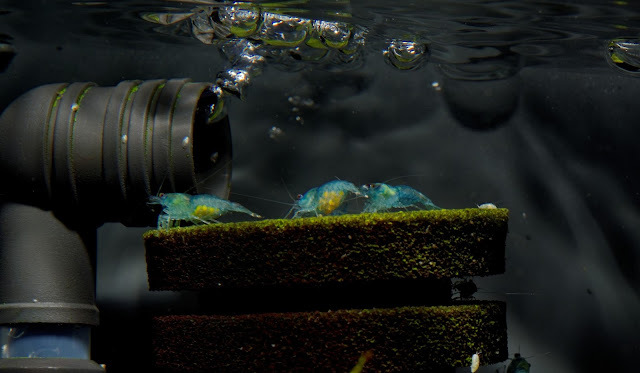 Why aren't my Crystal Red Shrimp breeding like the Blue Velvets? 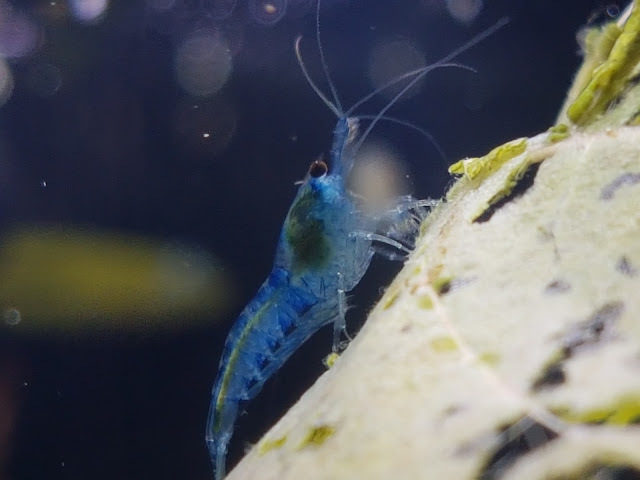 Why aren't my Crystal Red Shrimp breeding like the Blue Velvets? I'm reaching out for help from other shrimp keepers. What can I do to make things better for the Crystal Reds? How Did We Get a Shrimp In The 65 Gallon Tank? We've been having troubles with the neon tetras in the 65 gallon tank. They are sick. at first it looked like a body fungus as the dorsal fins would get a white fuzz on them then the fish got sick and started behaving erratically, having troubles staying upright, as if they had a swim bladder problem, they would swim off on their own away from the group and hover as if sleeping, but much more twitchy than when they sleep, and soon after the sick fish always died. In my opinion, every shrimp keeper needs plants. Moss is easy and provides the shrimp with lots of grazing area, and places for baby shrimp to hide. Here is a video I made on how to make a moss mat for your shrimp tank. Let's look in on the Cherry Shrimp in the Betta tank shall we? It's been a while since the Cherries in the Betta tank got any coverage. Can you tell from the video when this guy spotted Bill swimming around? A couple of moms-to-be hang out on top of the sponge filter with (probably) one of the dads.